December 5,2016 Trenton, NJ – on Wednesday, December 21,2016,at 10 am, at Turning point United Methodist Church, the Mercer Alliance to End Homelessness and Turning Point United Methodist Church will host a Homeless Persons’ Memorial Service. This event is held in conjunction with the National Homeless Persons’ Memorial Day traditionally held on December 2lst, the day with the least amount of daylight and the longest period of darkness. All Mercer Counly homeless people who died in the last year as a result of their lack of shelter or care will be remembered at this time’ People are invited to take time out and reflect on the tragic loss of these individuals. Local clergy will participate. The service will include readings, prayers, and names of individuals who experienced homelessness and died this past year. The Mercer Alliance, working with local homeless providers and homeless individuals gathered information on individuals who died while living on the street or in emergency shelter, as well as ildividuals who died while living in transitional or permanent housing for the formerly homeless, People are welcome to bring names of friends or family members who experienced homelessness that have died in the past year to be remembered. need to continue to.lbcus on ending homelessne,s’s”, said Frank Cirillo, Executive Director of Mercer Alliance to End Homelessness. This entry was posted in End Veteran Homelessness, Events, Latest Alliance News on December 15, 2016 by merceralliance. President-elect Donald Trump has nominated Dr. Ben Carson to be the next Secretary of Housing and Urban Development (HUD). We are eager to work with the Trump Administration and Dr. Carson to create more opportunities for Americans to access affordable housing, and to ensure the most vulnerable individuals and families in need of supportive housing are housed in their own homes and healthy. 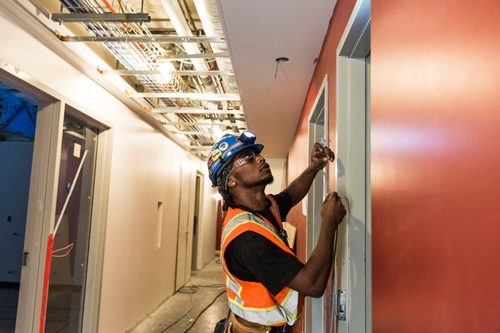 Our economic future depends on finding sustainable ways to ensure everyone, regardless of race, color, religion, gender, age, family status or income, can access and afford safe, decent rental housing. Not only is this crucial today, but for our children and grandchildren too. For those in need of supportive housing, their very lives depend on finding stable homes with access to the healthcare and other services that offer them the chance to move forward with independence and purpose, which benefits everyone in the community. In too many instances, our nation continues to over-rely on expensive institutional care that inadequately houses and fails to address the needs of the most vulnerable people, shortchanging them and the rest of us. Supportive housing is a proven, cost-effective alternative that empowers individuals and families to thrive within our communities. Evidence tells us housing is a key social determinant of health for individuals and communities alike, and CSH will continue to work with policymakers at all levels to enhance and increase the integration of housing and healthcare. CSH will be in the forefront of ensuring the new Administration and Congress have the extensive data, reports and personal stories demonstrating beyond question that supportive housing works, is cost-effective, holds down healthcare and public safety costs, revitalizes neighborhoods, and creates jobs and economic development, making a real difference in communities across this country. As Dr. Carson begins his transition to HUD, we stand ready to join with him to expand on the progress supportive housing has made for nearly 40 years. The above information was provided by the Corporation for Supportive Housing in an email, December 8th. This entry was posted in Latest Alliance News on December 11, 2016 by merceralliance. Nearly 30 million people would lose their health insurance coverage if the Affordable Care Act (ACA) is repealed, data from the Urban Institute show. We have published fact sheets showing the number of people who would lose coverage and the loss of related federal funding in each state. Republican policymakers plan to move quickly in January to repeal much of the health reform law without enacting a replacement. This would cause families across the country to go without needed health care and expose them to financial risk. Most of the coverage loss would occur among families with at least one worker and among people without college degrees, doubling the number of uninsured and leaving a higher share of people uninsured than before the ACA. States would lose significant federal funds. Even states that didn’t expand Medicaid would see declines in federal spending as eligible people fall off the program. The growth in the number of uninsured residents would increase demand for uncompensated care by $1.1 trillion between 2019 and 2028. Repealing the ACA without putting in place an adequate replacement plan that ensures affordable coverage would more than double the total number of uninsured to 58.7 million people, greater than the number who were uninsured prior to enactment of the ACA. The above information was provided by the Center on Budget and Policy Priorities in an email, December 7th. Below you will find a link to the 2016 Point in Time Report just released by the USIACH. Nationally, there’s been a 3% reduction in homelessness compared to a 23% reduction in Mercer. The USIACH reports that family homelessness across the country decreased by 5% since 2015 , whereas family homelessness in Mercer decreased by 18% since 2015. Read the Annual Homeless Assessment Report to Congress, Part I. Read HUD’s press release about the Point-in-Time data. Opening Doors was launched in 2010. The arrows are pointing in the right direction. But we can and must do even better. First, I want to offer a few thoughts about what this specific data helps us understand. This data in this report is based on data gathered and submitted by communities across the country through their local counts. Such point-in-time data provides us with a snapshot of the estimated number and demographics of people who are experiencing homelessness at a given point of time – in this case, from about 11 months ago, January 2016. This data helps to estimate how much day-to-day capacity we need within our homelessness crisis response systems. And it also helps us assess the impact of our strategic activities up until that point. But it is not the only data that we consider, and it is not the only data that communities should use to guide the strategic decisions and tailor the interventions that we need to end homelessness. We also need to consider sources of annualized data that help us understand the number of people who experience homelessness or housing instability over the course of a year. Such data helps paint a more complete picture of the state of homelessness and housing needs in our country. Last month, HUD released part II of its 2015 Annual Homeless Assessment Report to Congress based upon Homeless Management Information System data, which documents the number of people who experience homelessness in shelters over the course of the year. This data showed that between 2014 and 2015, the number of people experiencing sheltered homelessness at some point during the reporting year remained roughly the same, declining by less than 1%. For understanding the scope and scale of homelessness among youth and families with children, we also closely consider the data gathered by schools for the Department of Education. This annualized data documents the number of children enrolled in public schools who are identified as experiencing homelessness at some point during the school year – including children who are living in shelters or who are unsheltered – and also includes children who may be staying in motels or in doubled-up arrangements. This data showed an 8% increase between the 2013 and 2014 school years, and we’ll be looking closely at what the 2015 data tells us. I would encourage you to spend some time with all of those data sets, and reach out to us if you would like to talk through this data. First, we set ambitious goals and asked leaders to publicly commit to them. For example, the Mayors Challenge has helped to drive the remarkable 47% reduction in Veteran homelessness, including a 17% reduction during 2015 alone. And we now have the opportunity to take the proof of what is possible for Veterans and apply those lessons and strategies to ending homelessness for people with disabilities, for families with children, for youth – for everyone. Second, we provided clear guidance and direction on what it takes to succeed, equipping communities with a full array of strategies and tools to help them implement the best practices. For example, HUD’s technical assistance efforts have helped communities to use resources more effectively, to embrace the strongest models, and to use data to drive their decision making. And communities are moving beyond using not just point-in-time estimates to having real-time information about people experiencing homelessness at any given time – who they are, what their needs are, who is working with them. Third, by embracing Housing First approaches, federal agencies are making sure that federal dollars have the greatest impact and improves outcomes for people. Programs are removing unnecessary obstacles and barriers, helping people get into permanent housing as quickly as possible, and providing them with essential services to be successful. But our work is clearly not done, so I also wanted to talk about a few of the things we need to be urgently focusing on in the months and years ahead to pick up the pace of our progress. We must increase the supply of affordable housing. We must continue to target and prioritize existing affordable housing to people exiting homelessness, but we must also take steps to increase the overall supply of housing units within our communities. Jurisdictions need to remove local barriers to housing development that have reduced the ability of many housing markets to respond to growing demand. And we must invest in new affordable housing across all levels of government. We must continue to improve connections to mainstream programs and employment services and opportunities. To both prevent homelessness, and to ensure the success and stability of people who are experiencing or have exited homelessness, we must do more to connect people to health and social services, and to integrate employment services and opportunities into our housing and services systems. And finally, we must maintain partnerships at all levels of government.To sustain the progress we’ve made to date, we must continue to pursue a collaborative approach across federal, state, and local government. And we must sustain our investments into the strategies and programs that are working, knowing that our communities must have lasting systems that are poised to respond to crisis every day. As always, we thank you for your dedication to making sure every American has a safe and stable home. This entry was posted in Latest Alliance News on December 3, 2016 by merceralliance. We are proud to be part of a working community alliance of true professionals dedicated to combating and ending homelessness”, said Executive Director Frank Cirillo. 11-15-16: Hughes to be honored by National Alliance to end Homelessness TRENTON, N.J.—Mercer County Executive Brian M. Hughes will be honored by the National Alliance to End Homelessness for his leadership in Mercer County’s successful efforts to reduce family homelessness. Mr. Hughes will receive the award at the national organization’s Annual Awards Ceremony on Nov. 17 at the Newseum in Washington, D.C. The ceremony, “When a Child Has a Home,” will highlight successes in ending child and family homelessness. This year’s event will be attended by corporate executives, representatives of Congress and the Administration, and many other committed stakeholders. Organizers said that by recognizing the progress being made across the country, the event seeks to heighten the national conversation on the importance of ending homelessness for children and their families. 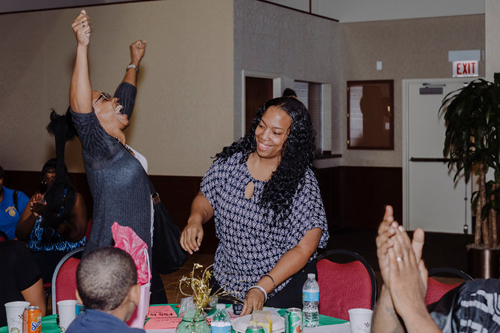 By using an approach called Rapid Rehousing, an intervention designed to help individuals and families quickly exit homelessness and return to permanent housing, Mercer has been able to reduce its number of homeless families by 70 percent. Since 2010, more than 1,000 homeless families have been rapidly rehoused by moving into their own apartments within 54 days of entering the homeless system, Mr. Hughes said. Before the transformation, families were remaining in emergency shelters and transitional housing for up to a year. This entry was posted in Latest Alliance News on November 29, 2016 by merceralliance. Social Security is currently facing a significant – though manageable – long-term funding shortfall, which policymakers can address primarily by increasing Social Security’s tax revenues. Not only is boosting Social Security’s payroll tax revenue justified by recent trends in inequality and the cost of health insurance, the majority of Americans oppose cuts to the program and support strengthening it by contributing more in taxes. In a new CBPP paper, we present the three approaches to increasing payroll taxes, including: increasing or eliminating Social Security’s cap on taxable wages, expanding compensation subject to Social Security payroll taxes, and increasing Social Security payroll tax rates. Social Security provides a foundation of income for workers and their families, and they pay for these benefits primarily through payroll tax contributions. Read the full report to learn more on how policymakers should address Social Security’s long-term funding shortfall. This entry was posted in Latest Alliance News on October 16, 2016 by merceralliance. MULLICAL HILL — On Sept. 22, Bancroft, the largest organization in New Jersey providing education, support and services to children and adults with autism, intellectual and developmental disabilities, opened its state-of-the-art Health and Wellness Center at Lakeside. The facility is located on the Bancroft site where adults reside, enabling them to receive essential medical treatment right on campus and was made possible thanks to a $197,548 grant from the Salem Health and Wellness Foundation and the Community Foundation of New Jersey. Adults with autism and other intellectual and developmental disabilities face immense challenges when they need medical intervention. A simple physical at the doctor’s office can incite fear, anxiety and aggressive behaviors. 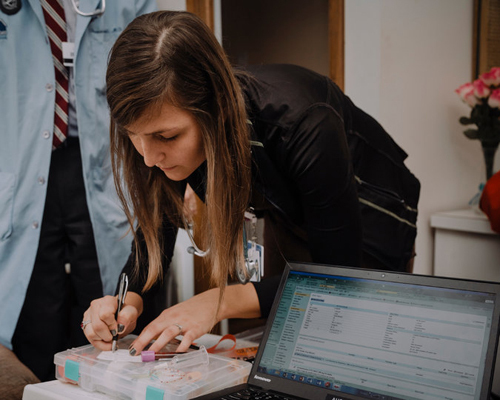 The Health & Wellness Center at Lakeside opens a world of opportunity and enables individuals to not only visit their physicians, but also to practice visiting the office as part of their desensitization therapy before medical treatment is necessary. “The Salem Health and Wellness Foundation has been delighted to partner with Bancroft to bring medical treatment and desensitization services directly to individuals who need them, improving access to care and quality of life for these adults,” said Brenda Goins, executive director of the foundation. The program included a ribbon cutting ceremony and tours of the new facility, which is comprised of a comfortable waiting area and several treatment rooms. Speakers at the event included Assemblyman Adam Taliaferro, Bancroft CEO Toni Pergolin and Bancroft Medical Director Dr. Kurt Miceli as well as Brenda Goins with the Salem Health and Wellness Foundation. Bancroft is a leading nonprofit provider of specialized services for individuals with autism, other intellectual or developmental disabilities and those in need of neurological rehabilitation. For nearly 133 years, Bancroft has been pioneering new ways of helping people with disabilities lead independent and fulfilling lives. Headquartered in Cherry Hill, Bancroft boasts 30 programs in 16 locations serving 1,700 people annually throughout New Jersey, Pennsylvania and Delaware, including more than 200 community-based group homes and supervised apartments. For more information, visit bancroft.org. This item submitted by Kathryn Conda for Bancroft. It will take some important legislative changes before focused; less intrusive care in a dignified, comfortable setting can become more widely available. The polarizing politics surrounding the Affordable Care Act makes any reform to the health care system particularly challenging. Still, given the overall popularity of Medicare — Hillary Clinton and Donald Trump both say they support it — getting a new home medical care benefit through Congress looks more promising. 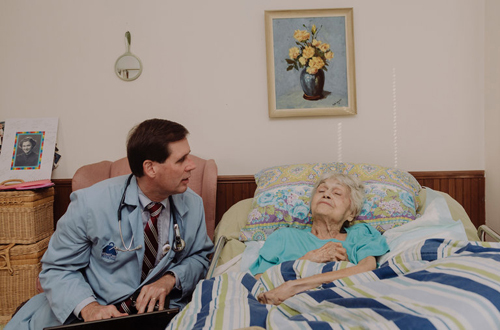 Dr. Cornwell is spearheading a national effort to revive physician house calls even as he pushes for doctors to be more fully compensated by Medicare for doing them. He is also training doctors to offer home-based care through the House Call Project, which is sponsored by the Home Centered Care Institute. He is chief executive of the nonprofit institute. Home medical care may well be the key missing link in the “aging in place” model aimed at helping millions more older adults avoid spending the last years of their lives in nursing homes and other institutions. Over the past decades, however, home care has been dwarfed by the significant shift of treatment to offices, clinics and hospitals. More than 50,000 practitioners work exclusively in hospitals, compared to about 5,000 doctors who make home-based visits to Medicare patients. But a modest counterrevolution toward home care, devoted to a lower-cost, patient-centered approach, is underway. House calls to Medicare patients rose from 1.5 million in 1995 to more than 2.6 million in 2014, according to the Centers for Medicare and Medicaid Services. Generally, the most expensive patients to treat have myriad health problems like diabetes and congestive heart failure. The top 5 percent of care-intensive patients account for 50 percent of total medical expenses, according to government data, with a median cost of more than $43,000 per person. Dr. Cornwell and others argue that many of these gravely ill Americans can be better cared for — at less overall expense — at home. For now, people looking for home medical services need to do their own research. A nearby hospital may already offer a program. Referrals are also obtainable through visiting nurse associations or the American Academy of Home Care Medicine. 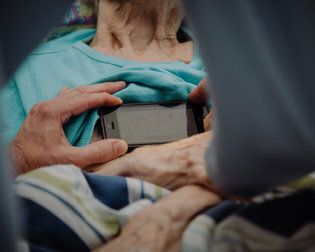 There are signs that the triad of care using doctors, nurses and the latest technology could help patients with multiple conditions. Dr. DeCherrie, who supervises two programs at Mount Sinai that treat more than 1,500 patients, says comprehensive home-based health care “has the potential to provide solutions for many problems,” suggesting that seeing patients in their natural environment may offer improved care. The next step for broad-based home medical care is a legislative push to expand Medicare’s reach into the home and to revamp the prevailing fee-for-service model that rewards quantity of treatment over quality and cost savings. A medical assistant, Rachel Kay, takes notes during a house call. Electronic medical records and portable diagnostic equipment like X-ray and EKG machines make home care easier. Unless the traditional economic model is changed, experts say, few doctors would be interested in providing home-based care. It’s often a money loser for physicians under the current system. Dr. Cornwell said he would like to see a new payment model that would allow Medicare to share any savings — relative to hospitalization — with doctors who make house calls. The Independence at Home Act (S. 3130), a bill supported by a bipartisan group of senators, would expand a Medicare home care demonstration program “so that it can benefit more Medicare beneficiaries with severe chronic illness and disability through coordinated, home-based primary care,” according to an endorsement letter backed by organizations including AARP and the Retirement Research Foundation. The first phase of the home medical care program demonstrated medical cost savings of $35 million — ranging from $1,000 to $3,000 per patient. Another independent study conducted by the Department of Veterans Affairs showed a 24 percent reduction in total costs and 62 percent fewer hospital stays, translating to some $9,000 in savings per veteran using home-based care. Although the home medical care bill is unlikely to see action in Congress this year, Dr. Cornwell hopes it may be revived next year. But many policies, fiscal and political hurdles need to be crossed before home care can really take off. How will doctors be monitored in the home? How will Medicare gauge the effectiveness of home-based treatments? 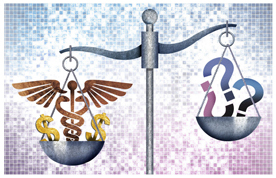 Will Medicare reimbursement be enough to cover the costs of physicians, nurses and equipment? What about long-term care financing in addition to primary care that could provide better funding for custodial care outside of nursing homes? Those questions, among others, are being considered by a diverse group of lawmakers, health care professionals and Medicare officials. Whether long-term care costs, which often include nonmedical caregiver or semiskilled home care, should also receive more support through government programs is another challenging issue. “Many people who need help with basic tasks of daily life want to and can remain at home, rather than being forced to live in institutions in order to get care,” said Judith Feder, a professor of public policy at Georgetown. The image of a doctor making house calls may recall a quaint Norman Rockwellesque painting, but home medical care could be part of a better future, too. 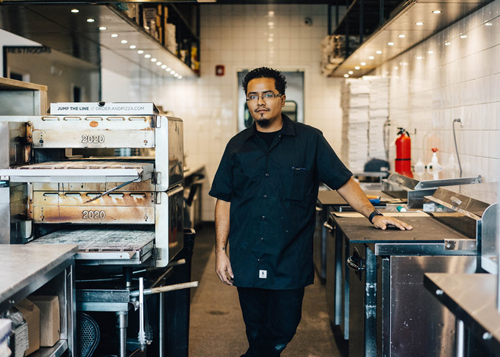 Overall, 2.9 million more jobs were created from 2014 to 2015, helping millions of unemployed people cross over into the ranks of regular wage earners. Many part-time workers increased the number of hours on the job. Wages, adjusted for inflation, climbed. Three years into Obamacare and it seems as if much of the news is bad: private insurers exiting the exchanges, networks being narrowed, premiums rising and competition dwindling out of existence. But it’s important to remember that many, if not most, of the newly covered Americans became insured through an expansion of Medicaid. Here, too, you hear a lot of bad news: that Medicaid offers poor quality and little choice of providers, that it is expensive for the states to administer and that its growing cost will eventually bankrupt states. As of today, 19 states have still refused to participate in the expansion. Such declarations consider only one side of the equation, though. In most ways, Medicaid offers an excellent return on investment. A rigorous analysis of the health benefits of being insured shows that Medicaid works on a number of levels. Critics of the program will point to studies that show that having Medicaid is associated with poor outcomes, even worse than those for the uninsured. Such studies are often flawed, however, in that those on Medicaid are often poorer and sicker than those who are uninsured. Some good randomized trials do exist. The Oregon Health Insurance Experiment is one of the most recent and best known. Many news articles have been written on the short-term findings of that study, which have been interpreted in many ways, both good and bad. But even that study couldn’t answer many of the long-term, holistic questions about its effects on health. To see the longer-term benefits across a wider population, we need to turn to other types of studies. They exist as well, usually taking advantage of changes in policy. Medicaid coverage of children and births expanded rapidly from the late 1970s through the early 1990s. When expectant mothers got early prenatal coverage, babies were less likely to be obese when they grew up. They had fewer hospitalizations, especially preventable hospitalizations, for any number of chronic disorders. Another study from last fall went further. By exploiting new Medicaid eligibility policies, researchers were able to closely compare people with and without benefits. They found that African-Americans who had more years of Medicaid eligibility as children had fewer hospitalizations and emergency department room visits as adults. More years of coverage achieved better results, even with respect to mortality. Benefits from Medicaid extend beyond health. A 2016 National Bureau of Economic Research working paper examined the effect of the Medicaid expansion on financial outcomes of beneficiaries. Using credit report data, researchers showed that the expansion was associated with a reduction of collection balances of as much as $1,000 for those receiving Medicaid. The financial benefits extend to society. A study from early 2015 looked at how expanding coverage to children in the 1980s and 1990s affected long-term finances. The analysis showed that children whose eligibility increased were more likely to go to college, earn higher wages and pay more taxes by the time they were 28 years old. In fact, after accounting for other factors, the researchers estimated that the government would recoup 56 cents on each dollar spent on childhood Medicaid by the time beneficiaries reached age 60. Other studies confirm that Medicaid in childhood makes children more likely to finish high school and college. At a national level, the expansion of Medicaid continues to yield benefits. Its coverage was increased, and its quality raised. Some states that have expanded Medicaid are even expecting net savings for the next few years. In states where Medicaid was expanded, hospitals had fewer uninsured visits. Focusing on only the positives can be as misleading as focusing on only the negatives. Policy decisions, including those involving health, need to be considered in terms of trade-offs. It is true that providing Medicaid can cost the federal government, and even states, a lot of money, which can’t then be spent on other worthy pursuits. It is true that Medicaid reimburses physicians and hospitals less generously, and that it often leaves beneficiaries with fewer choices than private insurance might. But when we look at the balance sheet for Medicaid — health benefits, financial security, societal improvements through education — it’s not hard to argue that money allocated to Medicaid is well spent. Port Authority Police Officer Juan Guzman talks down a man hanging from the railing of the George Washington Bridge. Two Port Authority police officers who completed crisis intervention training in Bergen County last week helped talk a 23-year-old man out of jumping from the George Washington Bridge on Friday, authorities said. Officer Juan Guzman and Lt. Mike Hennessy, responded to the report of a man threatening to jump from the walkway along the eastbound lanes of the bridge’s upper level at 1:58 p.m. as they were reopening westbound lanes following a tractor-trailer accident, said a Port Authority spokesman, Joseph Pentangelo. Guzman and Hennessy were participants in a course the New Jersey Crisis Intervention Training Center of Excellence had offered at the Bergen County Law and Public Safety Institute in Mahwah from Sept. 12-16. The center is comprised of law enforcement officials and mental health professionals, according to its website. The man, a Manhattan resident whose name was not provided by authorities, was transported to NewYork-Presbyterian Hospital/Columbia University Medical Center to be evaluated, authorities said. 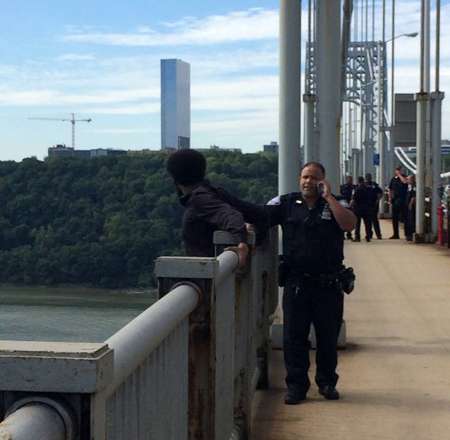 He had climbed over the railing on the walkway, just west of the tower on the New York side of the bridge, and was standing on a ledge overlooking the Hudson River when officers arrived, authorities said. Guzman “engaged the suicidal subject in conversation and established an immediate rapport,” Pentangelo said. Hennessey also participated in helping to talk the man out of jumping, authorities said. Neither Guzman nor Hennessey were available to discuss the rescue on Friday night, Pentangelo said. The man was reported to the Port Authority police by a tractor-trailer driver who was travelling slowly in the westbound lanes because of the accident and fuel spill, authorities said. This entry was posted in Latest Alliance News on October 3, 2016 by merceralliance. Last week, we explained that one of the reasons Medicaid is so effective is that states have the flexibility to design programs that work for their communities. This week, we’re digging deeper into how states are using their flexibility under Medicaid to streamline health care delivery and improve health. As CBPP senior policy analyst Hannah Katch writes, states are using Medicaid’s flexibility to coordinate physical and behavioral health care services as well as social services. They’re also moving to integrate services for their most vulnerable beneficiaries by improving communication and data sharing across health care providers and systems to provide effective health services in a timely way. These efforts are improving health outcomes and making Medicaid more efficient by bridging the gap between health care and other services, such as housing assistance. A Wisconsin hospital is testing a new way to integrate health services for children with complex medical needs, a rapidly growing group with high health care costs. Participants are significantly more likely to report that their health needs are being met. You can read about how other states are innovating Medicaid to great success here. Copyright © 2016 Center on Budget and Policy Priorities, All rights reserved. This entry was posted in Latest Alliance News on September 28, 2016 by merceralliance. Mercer Alliance welcomes Joyce Campbell, Executive Director of Trenton Area Soup Kitchen to our Board of Directors. Joyce has over 30 years of non-profit experience and a strong record of collaborating with nonprofits, community and government organizations to advocate for resources for the area’s most vulnerable. 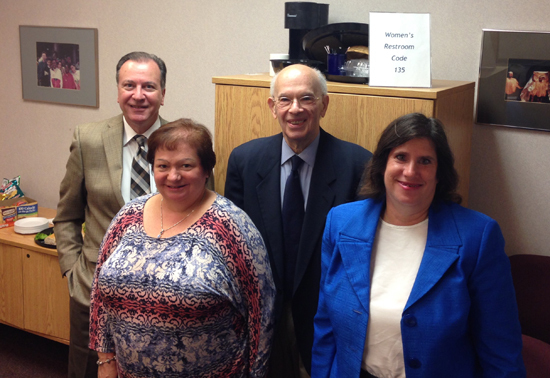 Pictured in photo left to right, Frank Cirillo, Executive Director Mercer Alliance, Joyce Campbell, Executive Director TASK, Clifford Goldman, Board Chairman and Jacqueline (Jackie) Alberts, Board Treasurer. This entry was posted in Latest Alliance News on September 20, 2016 by merceralliance.